View cart “Luna Moth Wing Earrings” has been added to your cart. 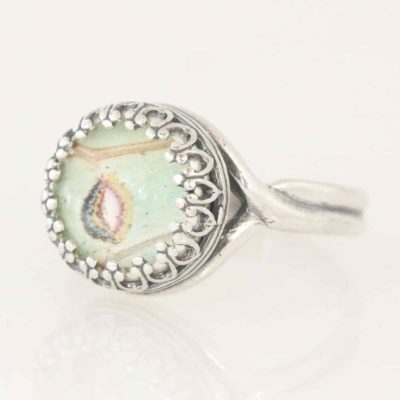 This adjustable sterling silver real butterfly ring has a piece of a Luna Moth wing embedded in it. MATERIAL: Sterling silver, polished glass and sustainably farm raised butterfly. SIZE: Adjustable ring. Displayed wing area 11mm diameter (about 7/16 across). Comes with interesting natural history about the species and fabric jewelry bag. This ring is not waterproof and should not be submerged in water or stored in a bathroom environment. Hand crafted in San Francisco Bay Area. 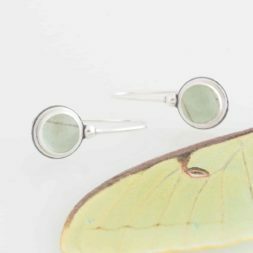 When you want a simple accessory to impress, this real luna moth (actias luna) wing sterling silver adjustable ring is an exceptional styling option that looks good with just about anything. Custom crafted in designer detail, a genuine luna moth wing has been tucked beneath the glass in a stunning display of design. It is guaranteed to make a fashionable addition to your business or casual wardrobe. Gift it to a friend or loved one to celebrate a special occasion. The Luna Moth is one of the most famous and recognized North American moths. 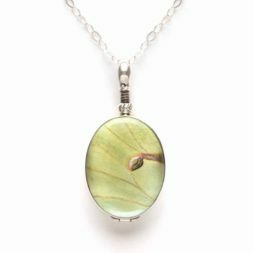 Comes with 18” sterling silver chain, fabric jewelry bag and interesting natural history information about represented species. Handcrafted in San Francisco Bay Area. 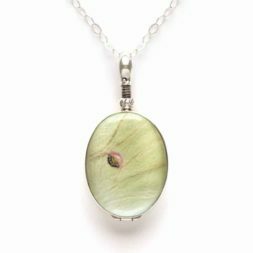 MATERIAL: Sterling silver, polished glass and sustainably farm raised butterfly wing. SIZE: Wing area 1/2 inch (10mm) diameter. Earrings is 1 inch from top to bottom. 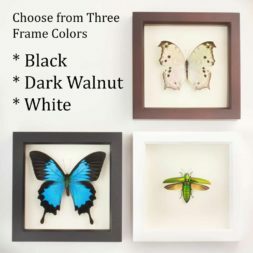 Comes with gift box and information about the natural history of the butterfly. Handcrafted in San Francisco Bay Area.